Lefkada is this magical, wrapped in mystery place. When you near the island from the road, you see its mountains coming out of the fog like in the legends of Avalon. It is a crossroad of cultures. Here meet the Greek and Italian way of life, which is mirrored mostly in architecture, but also the scale of making things. 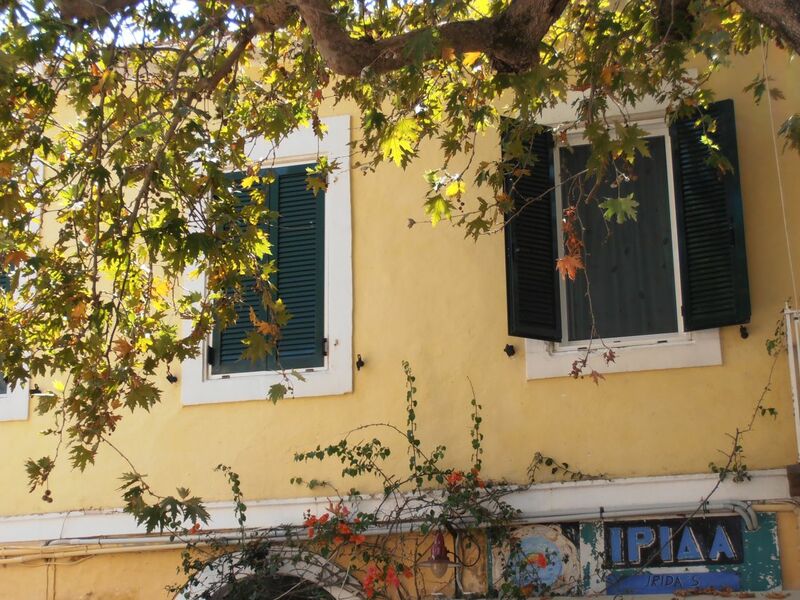 In Greece one sees more often, especially on the islands, this need for uniqueness,which is often expressed into creating small objects – small houses, small ports, small streets. In Lefkada in a symbiosis exist the Greek desire for small, but unique and the Italian psychology of “grande” - the buildings are not high, but decorated richly, the city square is symbolic, but the marina is one of the biggest in Europe, the main street is tight, but long. The city has its own tempo, that is somewhere in the middle between the tourists' crowd and the calm life of the locals. When you get lost in the small streets around the center, the feeling, walking on the stone pavement and admiring at the taste of the houses' owners (there are plants in pots everywhere, including trees and the walls and the windows' frames are in colors one can hardly imagine that exist), one can find him/herself feeling like a hero/ine in a historical novel. Here you can find the most genuine places. I met a “mastoras” (master) that has a bakery for sweets, that was in his family for generations. The place was small and tastefully arranged and full from the bottom to the cealing with sweets that I hadn't even imagined that exist. The smell inside was magical, I believe that that is the same smell that helped the children in the fairy tail to find the wicked witch's sugar home. The island's other big treasure is the sea. It has this incredible emerald-like color that makes you desire to never take your gaze off. The shores on the west side are extremely high and from wherever you look the view makes you heart stop for a second – the shore is jumping into the sea and the water is dancing beneath you, playing with the rocks down and singing to you in its melodic language. 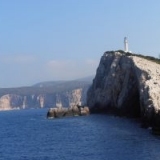 There is a legend about Lefkada's lighthouse. It is situated at the south end of the island and the story is that there, at the cliff beneath it, is the place where Zeus was curing himself form his love pains (and he had a lot). Every time he wanted to forget a woman, he jumped from at the sea rocks and when he got out he was cured from his love sickness. The legend has it that the poet Sapho came here to do the same thing and there found her death. Lefkada is a place for dreams. A place to forget the rest of the world and turn into yourself, breathing the salty sea breeze, staring at the clean, emerald waters and saying a little payer to thank you are alive to be here.